Harold blasts off into space. 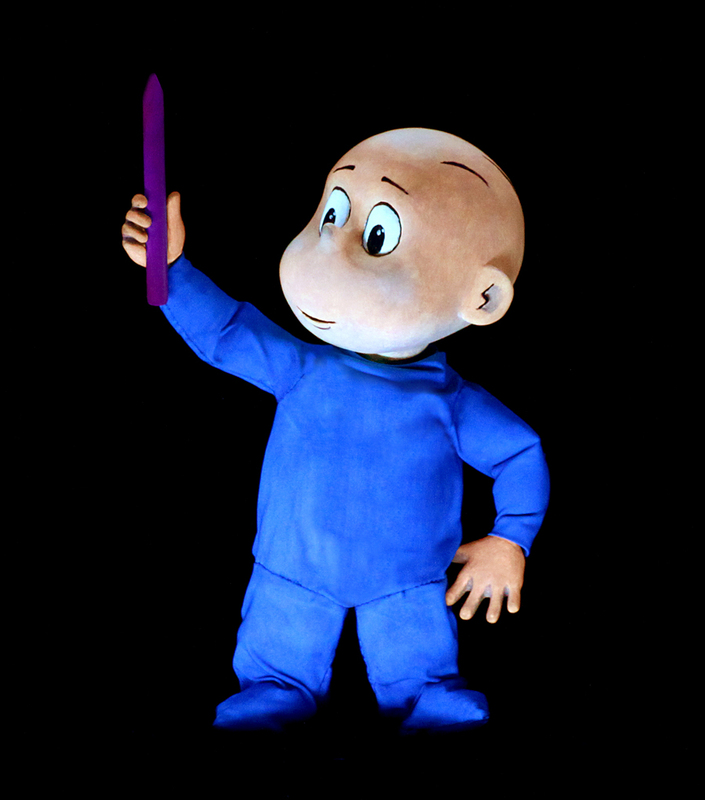 The Center for Puppetry Arts’s inaugural production of Harold and the Purple Crayon will feel very familiar to anyone who’s read the classic children’s series by Crockett Johnson, the first of which was published in 1955. 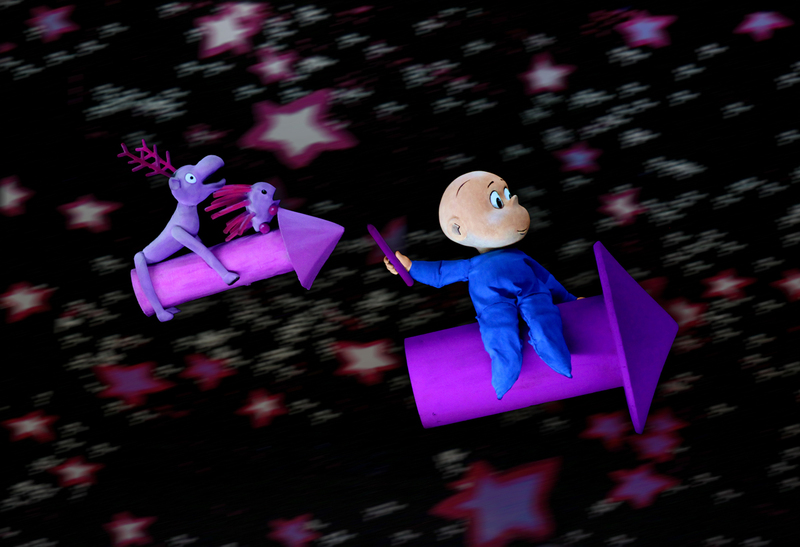 Little Harold struggles to fall asleep one night and grabs his trusty purple crayon, drawing fantastical worlds and creatures that magically come to life. 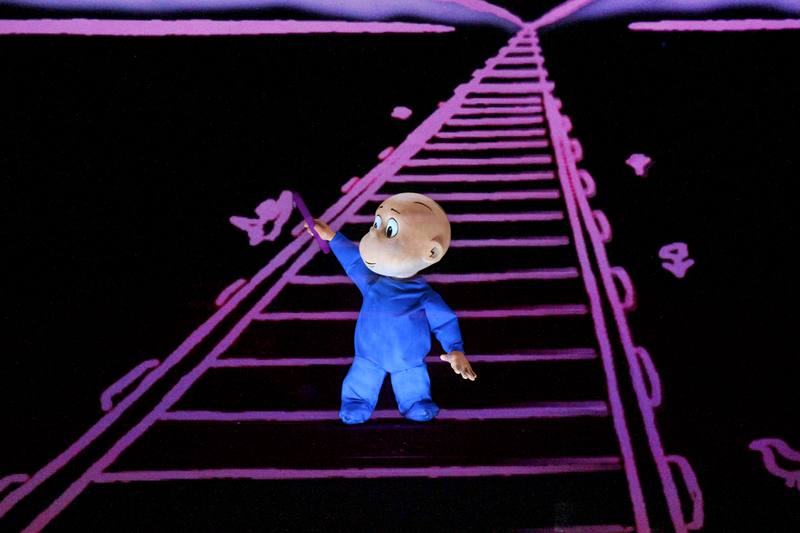 What will be new is just how real Harold and his world become through the Center’s use of puppets, blacklights, and a 19th-century illusion technique that has added drama to acts from Disneyland to Coachella. The Pepper’s Ghost technique allows Harold to interact directly with the animation around him. While the Pepper’s Ghost technique initially involved reflecting images onto large panels of glass, the Center uses a more modern method. A thin, highly reflective transparent sheet—essentially invisible to the naked eye—is stretched in front of the stage at a 45-degree angle. Two projectors direct animations onto a screen, which is then reflected by the sheet. 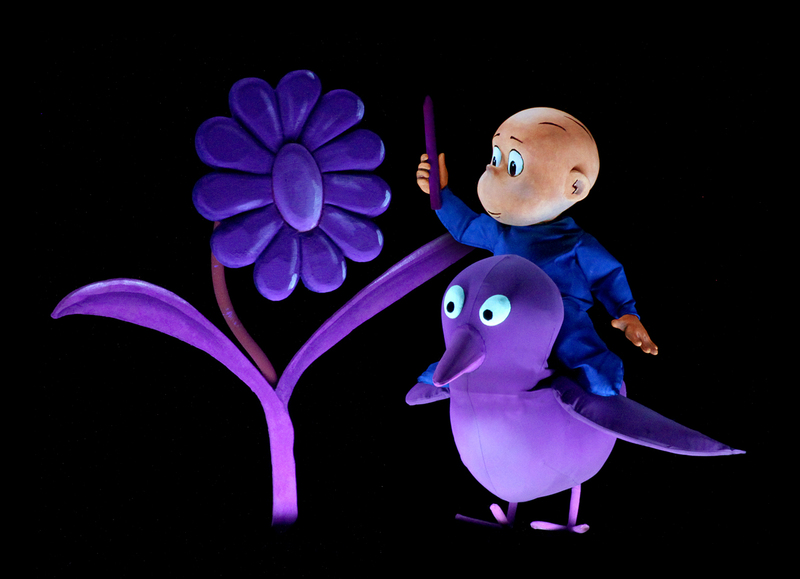 The stage is lit only by blacklights, which makes the puppets, painted in UV-reactive paint, and the animation stand out while completely obscuring the puppeteers, who are dressed head-to-toe in black. One of the Harold puppets used in the show. The UV-reactive paint posed a few challenges for resident puppet builder Jason Hines. For one, he had to paint all of the puppets in a windowless, blacklight-lit room in order to make sure the colors and details would appear correctly. But the biggest difficulty was the color of Harold’s signature crayon. An original score by Dolph Amick adds personality to some of the characters. For example, a whale is accompanied by a “gentle song with a sailor’s hornpipe,” says Ludwig. He adds that the creativity of Harold’s imagination and the crayon drawings naturally lend themselves to puppetry. 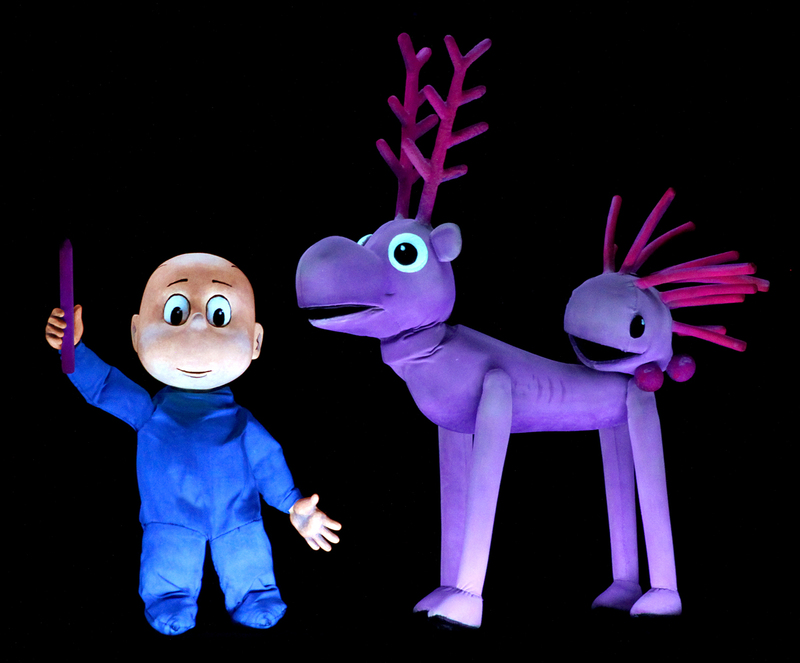 See the show: Harold and the Purple Crayon runs through May 26 at the Center for Puppetry Arts in Midtown. Tickets are $25 each and include the “Create-a-Puppet Workshop” where kids can make their own “Magnificent Mouse” tabletop puppet. A sensory-friendly performance will be held on April 14.